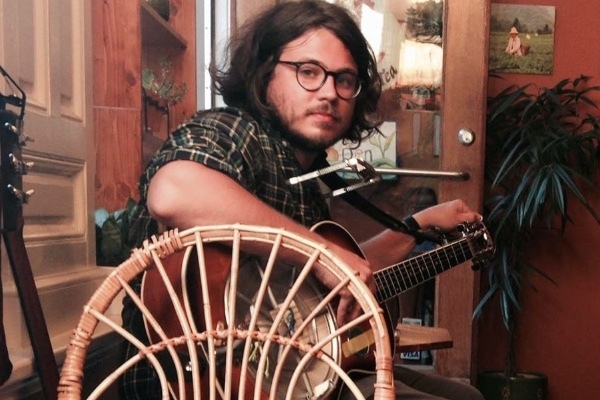 We are sad to have to report that WMPG’er Tanner Olin Smith has passed away. Tanner was a USM student and WMPG work-study student. If your band played on our Local Motives show in the last couple years you will likely remember Tanner. He helped engineer the show. The whole community was shocked and sad to hear of his passing and there was a memorial concert held at One Longfellow Square to celebrate Tanner’s life. The event was called AQUAMARINE: A MEMORIAL CONCERT FOR TANNER OLIN SMITH is a celebration of the life and music of Tanner Olin Smith. It featured his former bandmates, collaborators, & friends presenting memories, thoughts, and songs written by or inspired by Tanner. Aquamarine is one of many songs Tanner wrote and performed with his former band Laminated Cat.Tanner’s family donated the proceeds from the event to Tanner’s favorite institutions, the Tanner Smith Memorial Fund at Erskine Academy and WMPG. It was a sad but uplifting event and all who attended were moved deeply.